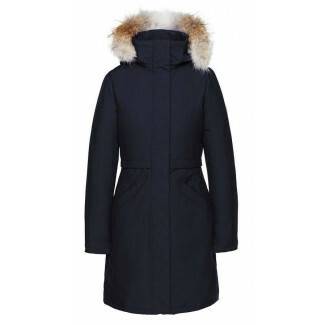 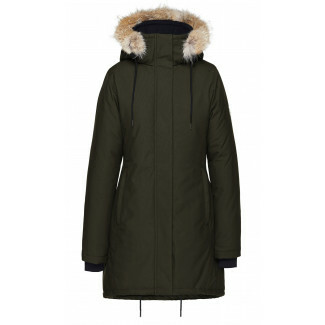 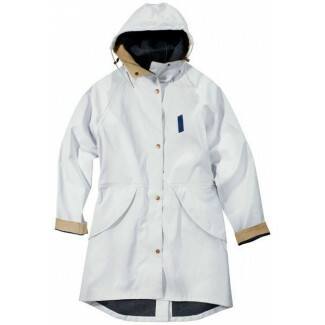 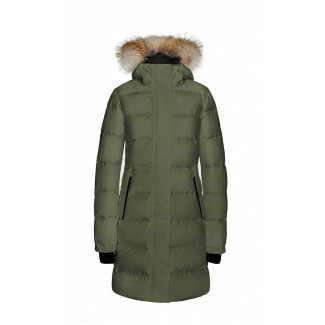 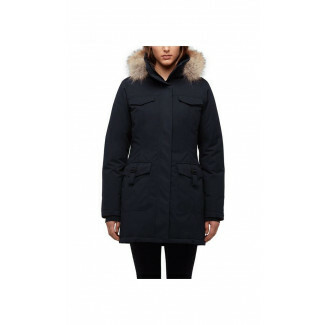 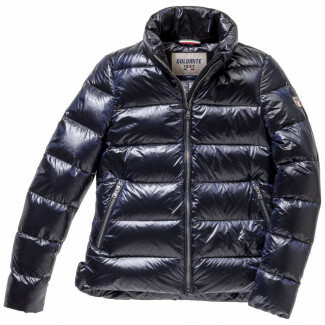 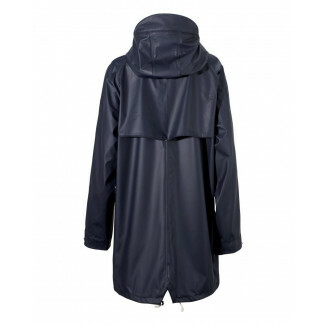 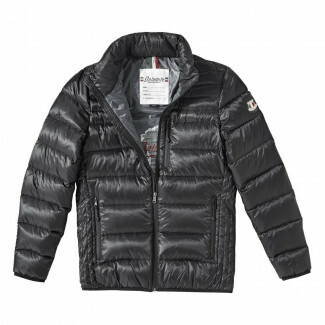 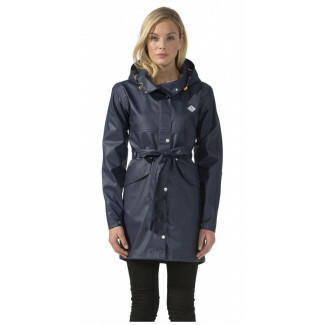 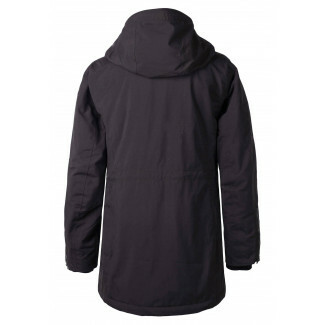 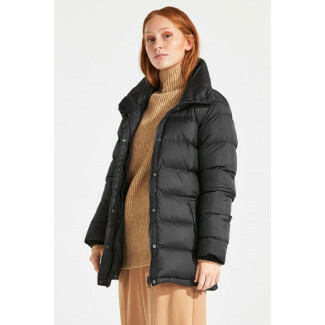 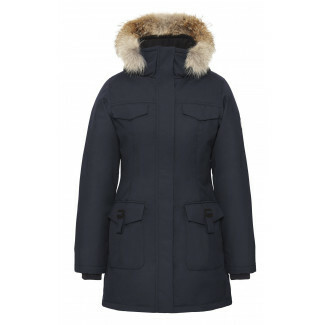 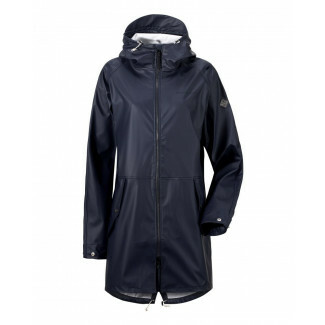 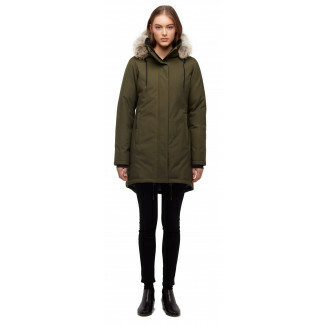 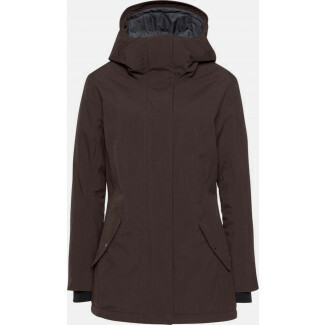 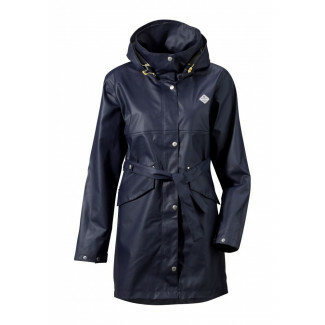 ###SEPARATOR###Browse our selection of down jackets for women from brands like Canada Goose, G-LAB, Mackage or Nobis. 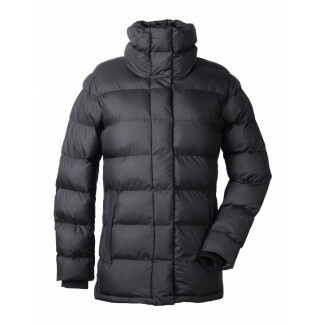 Our collection is well selected and extremely well insulated - so you are well prepared for the cold winter days. The cuts range from long down coats to shoulder length jackets or even bomber jackets. 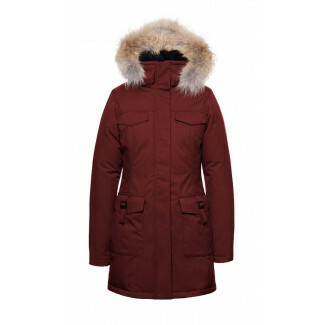 Most models are equipped with a fur trim on the hood, which keeps wind and snow away from the face. 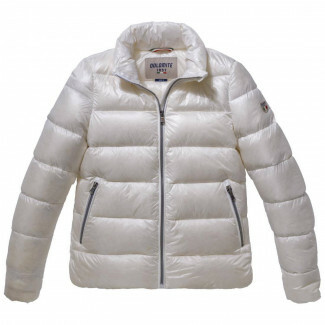 Finest air turbulences lead to an effect that the air subjectively feels much warmer than without fur. 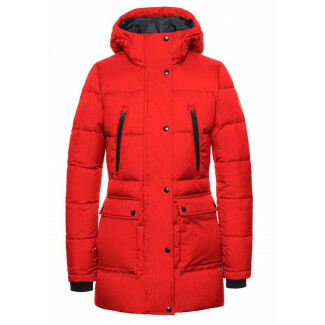 Our range includes down jackets for women for almost any occasion. 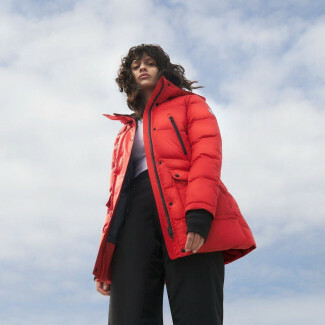 Whether skiing, sledding or walk the weekly stroll through the city, with the COLDSEASON program you are always well prepared.